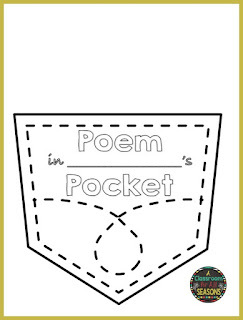 April is National Poetry Month and April 27th is Poem in Your Pocket Day. There are so many fun things to do this month and so little time! It's pretty easy.....First, have students decorate a "pocket". Staple the pocket to the bulletin board. Give them a few days or longer to find a poem that they love. Bring in a copy (they could copy it by hand) and place it in their pocket. 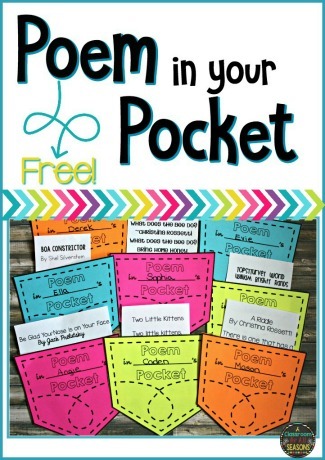 Throughout the month classmates can read each other's chosen poem. 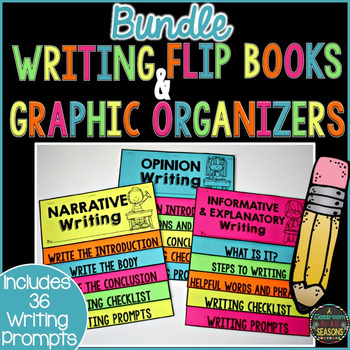 Students could also write their own poems, too! Click here to download this free template. 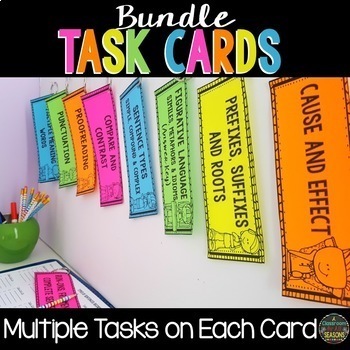 I hope you and your students enjoy the freebie. 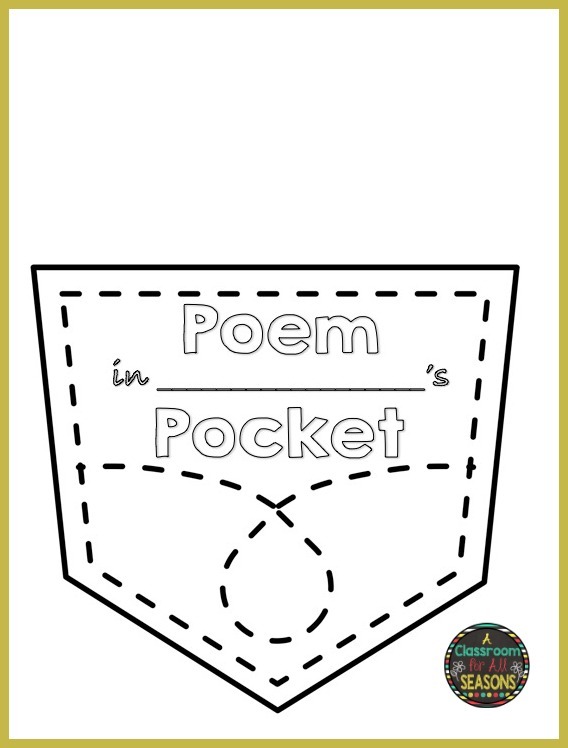 If you are looking for more poetry resources, I created the Poetry Unit below. 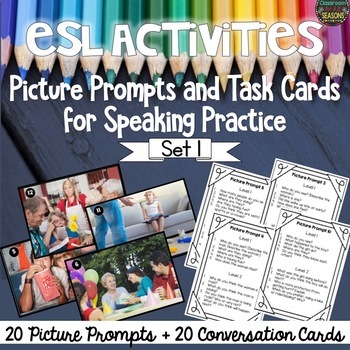 It includes directions for writing 8 poems plus templates, poetry task cards and a covers for poetry journals. 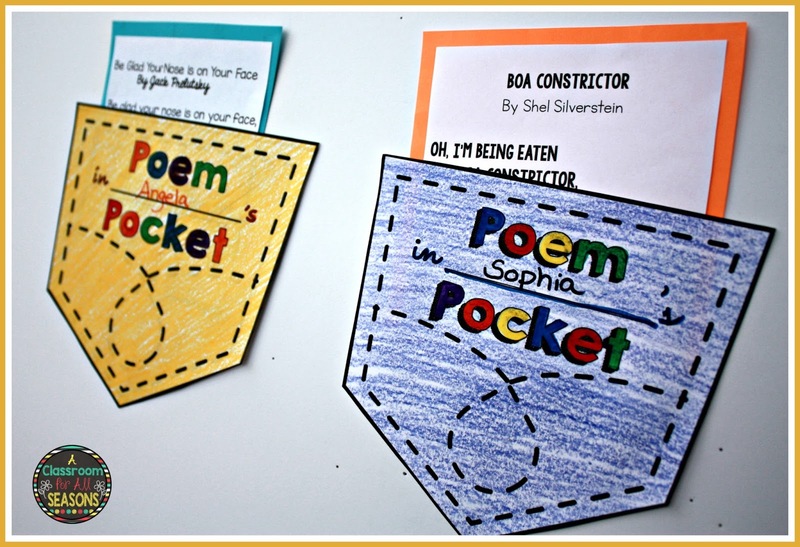 Students can create their own poetry journals. 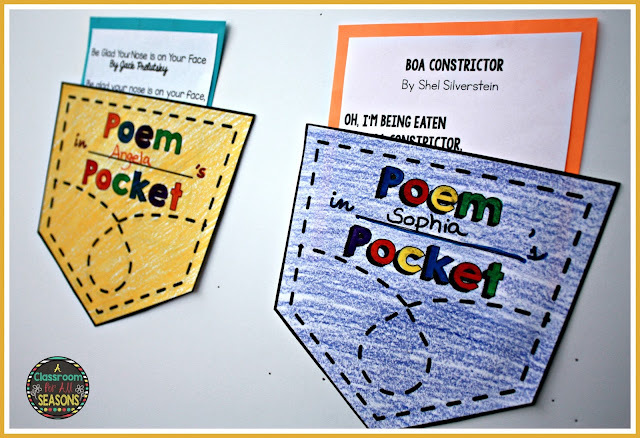 Or create a Class Poetry Journal. 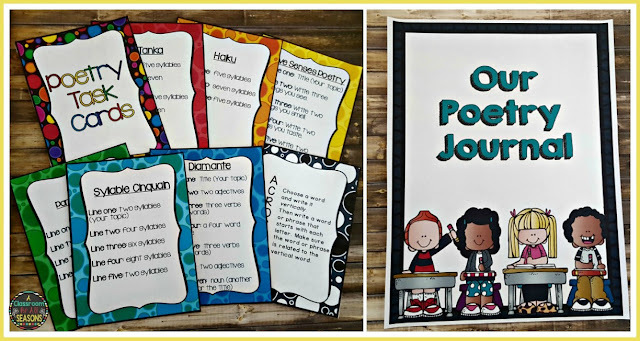 After learning all 8 types of poems, have each student choose a favorite and then put a journal together for the class. 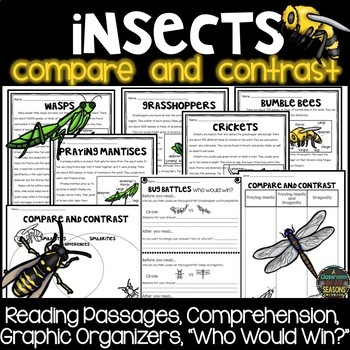 Leave in the classroom library for students to read throughout the year!